The YvY WIC program is a nutritional program for expecting, nursing, and postpartum women, infants and children to age 5. This program, funded by the New York State Department of Health provides nutrition education, lactation counseling, checks for nutritious foods, and referrals to social service and health care agencies . Licensed nutritionists, lactation specialists, and peer counselors provide participants with information on healthy eating, nursing assistance and support. An extensive multilingual nutrition resource library supplies participants with informational materials on a wide range of nutrition and health related topics. Facilitated discussion nutrition classes, one-on-one counseling sessions, and healthy lifestyle initiatives are a regular part of the program. 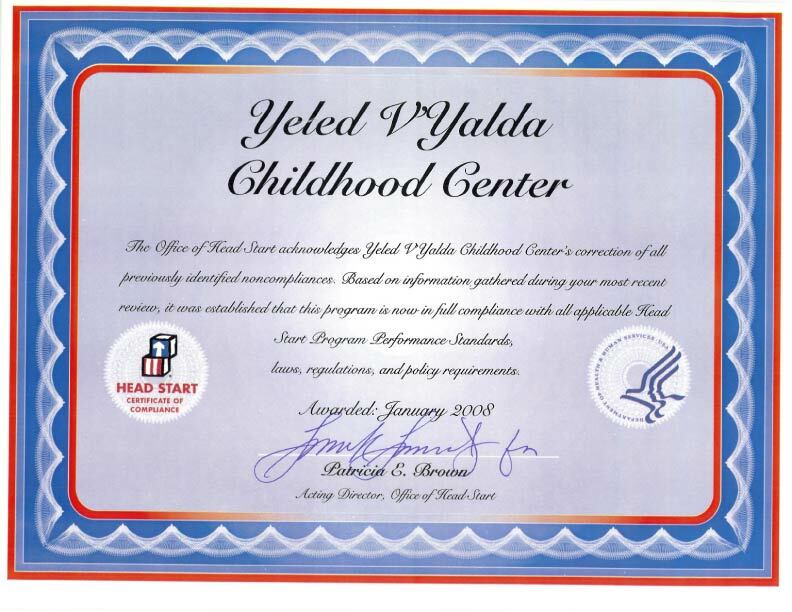 Yeled v'Yalda WIC has been serving the New York City WIC population since April 2004. Originally allocated a caseload of 2,500, Yeled v 'Yalda WIC currently services over 10,000 participants monthly through two separate Brooklyn sites: Boro Park WIC at 1312-38th Street; Brooklyn New York I 1218, and Farragut Road \'VIC at 6002 Farragut Road; Brooklyn New York 11236. The collaboration with the other divisions of Yeled v'Yalda Head Start, Early Head Start Expectant Mom's Program allows WIC participants to benefit from all inclusive services in one convenient and accessible location, ultimately contributing to a healthier community.